Below you will find the latest reports, publications, tools, media, trade associations, digital clusters concerning the data hub in the Netherlands. We strive to offer you the most complete and up to date information about the Digital Gateway to Europe. 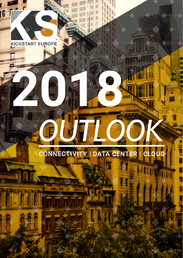 ​This 2019 Outlook report was published at the Strategy and Networking Summit KickStart Europe 2019 on trends and investments in connectivity, cloud & data center, held on January 14-15 in Amsterdam. The report provides an overview of the latest insights and trends regarding connectivity, cloud and data center. The report dives into key indicators and outlooks regarding the latest IT, business and infrastructure trends that are expected to have a strong impact in 2019 and beyond. In a continuously changing world with Brexit, growing protectionism & data demand, the Netherlands' position as a data processing and distribution country is stronger than ever. 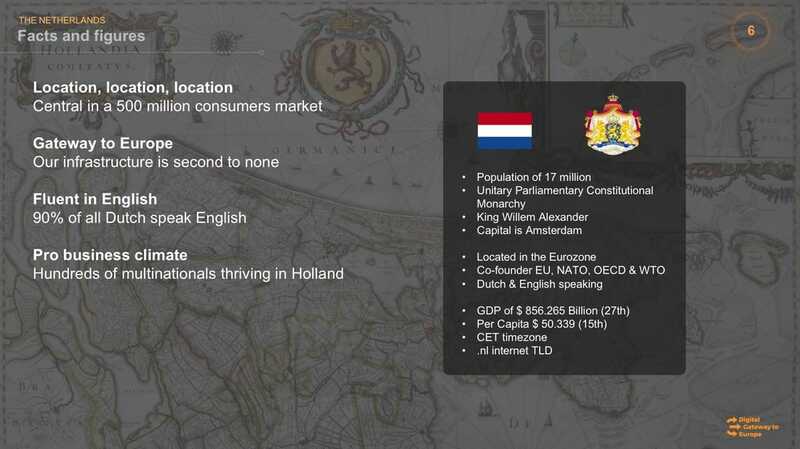 This report provides an overview of the state of the Dutch digital mainport. The second part of the report is an economic impact study into the development of the North Amsterdam campus. 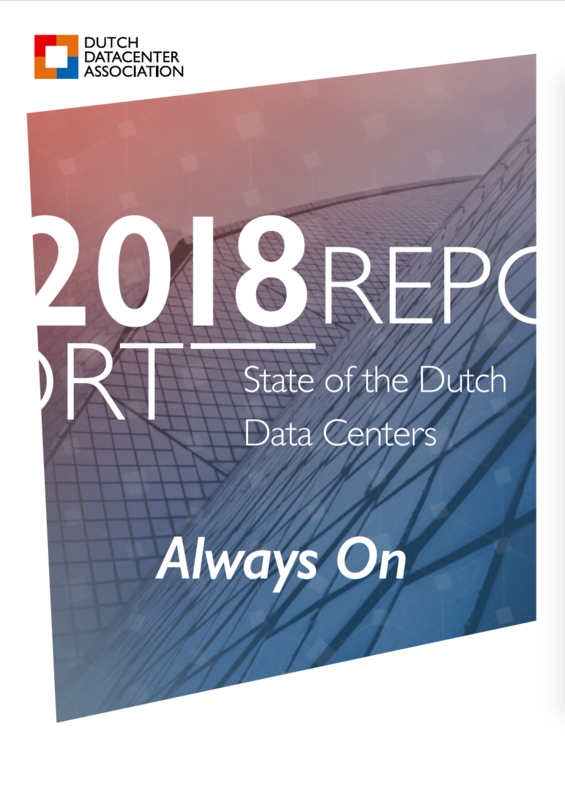 The largest annual survey of the Dutch data center sector and its 198 multi-tenant data centers reflects the growth and developments that have taken place in the data center sector over the past 12 months. 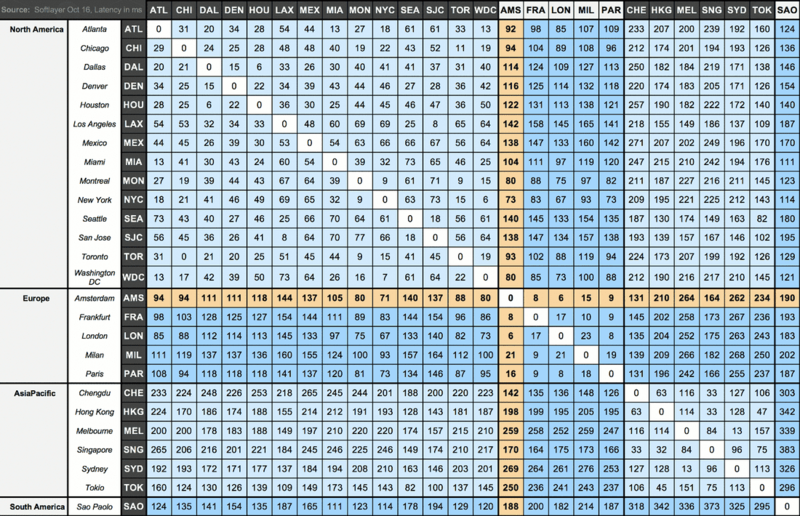 This report provides an overview of the latest trends regarding connectivity, cloud and data center. The Outlook dives into key IT, business and infrastructure trends that are expected to have a strong impact in 2018 and beyond. Dutch management summary of the economic impact study on the emerging North Amsterdam Data Center Campus and the influence on the Dutch economy. ​English version available as well. 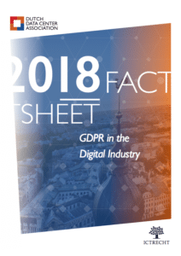 Up-to-date factsheet about the upcoming GDPR, tailored to the digital industry and data centers in particular. Including a checklist. Annual status report on the state of the Dutch Data Hub 2017, regarding connectivity, data centers, cloud and surrounding ecosystem. Mission findings report regarding Dutch Tech Fact-finding missions to Australia. Mission findings report regarding Dutch Tech Fact-finding missions to New Zealand. The Netherlands offers a grown up and stable digital ecosystem. Well organized by professional organizations representing all the different sub-sectors of the datahub. Together they strive to reinforce economic growth by facilitating the online economy in a safe and reliable manner. DINL is the umbrella organization of the organizations that form the Digital Infrastructure sector: AMS-IX, Dutch Datacenter Association, Dutch Hosting Provider Association, ISPConnect, Nederland ICT, SIDN, Surfnet and NLnet.